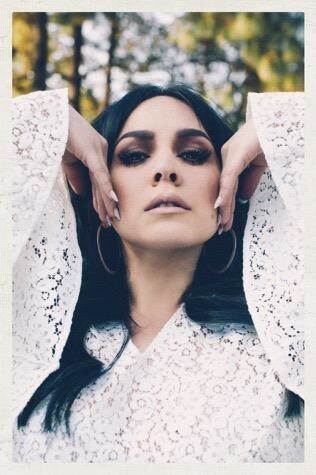 As Carla Morrison’s successful Amor Supremo Tour wraps up, she is set to return to where it all started— California. The indie-pop singer and composer announced the second leg of her U.S. tour will return to The Golden State in October with a total of four performances set to take place in three major cities: Saratoga, Downtown Los Angeles, and San Diego. Fans of the multiple Latin GRAMMY winner can expect to hear many of her most popular hits such as “Eres Tú,” “Déjenme Llorar,” “Azúcar Morena,” “Vez Primera,” “Tú Atacas,” “Un Beso,” woven in with her new songs “Te Regalo” and “Dime Mentiras,” included in her newest record ‘Amor Supremo Desnudo’, which was released on June 9, 2016 and is the acoustic version of her acclaimed album ‘Amor Supremo. “California has always felt like home to me and sharing that with my fans will make for a very lovely atmosphere. I’m excited to be bringing a version of the Amor Supremo tour that the US has never seen or heard before…” mentioned Carla. Pre-sale tickets will go on sale Wednesday, June 28, starting at 10:00 a.m. until 10:00 p.m. General concert tickets will go on sale Thursday, June 29 at 10:00 a.m at AXS.COM. Morrison is the winner of three Latin GRAMMY Awards. Her album ‘Amor Supremo’ garnered rave reviews from both music critics and press alike and got her nominations to the GRAMMY, Latin GRAMMY and Premio Lo Nuestro. With her Amor Supremo Tour she visited some major cities in Colombia, Argentina, Perú, Ecuador, Chile, Spain, Mexico and the U.S with sold out presentations and participated in some of the most important festivals in North America such as: Coachella, Vive Latino, Ruido Fest.